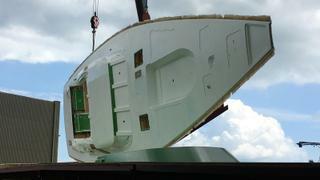 British yard Oyster Yachts has given a construction update on its in-build flagship yacht the Oyster 118. As the pictures below reveal, the deck has been released from its mould at HMS Daedalus and moved to the yard's new fit-out facility, Merlin Quay. 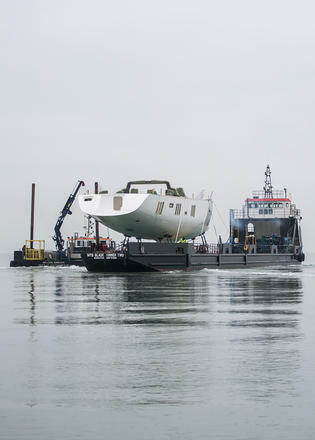 The Oyster Yachts team estimates that the next stage will take four months before the deck is moved to Saxon Wharf where it will be joined to the hull. The completed sailing yacht will measure 37.45 metres LOA and is due to hit the water in May 2018. The Oyster 118 is the largest yacht drawn in partnership with Humphreys Yacht Design and the biggest to be built at Oyster's Southampton yard. 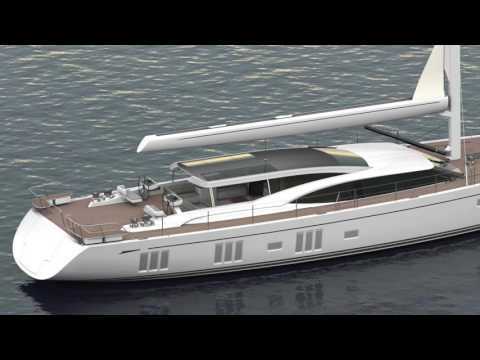 The new Oyster 118 has a sleek profile with Oyster's signature teardrop windows on the deck saloon. "We've kept the signature from the rest of the range," said Tydeman. "The 118 is just a scaling up, and now with a very stylish bimini top." The integral bimini enclosed sedan hard top Tydeman refers to is a new design feature distinctive to the 118. The Oyster 118 is an evolution of the Oyster 115 design. The growth in LOA can be seen in gains to the saloon and cockpit space. She boasts an impressive 700 cubic metres of interior space, which is handy considering the owner’s brief called for a stateroom-packed layout. "The owner wanted a lot of cabins," Tydeman added. "He didn't need space down below for a private study." The owner opted for a five-stateroom, four-head layout. The guest staterooms are set aft off of the saloon, while the captain's cabin and accommodations for crew are forward, with up to six crew members able to be accommodated in total. There is also a lower saloon that can convert from a TV lounge into a kid's bunk bed room, allowing the yacht to accommodate up to 12 guests. This personalised layout demonstrates the customisation available in an Oyster yacht. The builder notes this isn't just available in the interior or deck layout, but also in the square stern profile option, which would add another metre to the length of the deck. Either stern option allows for a massive lazarette, which can stow superyacht water toys, deck gear and a dive compressor. The fold-out transom has steps and handrails that erect automatically, saving time in tender boarding and docking. Notably, this isn’t a one-off. Oyster has created female tooling so that the second hull of the Oyster 118 series, which was sold in January 2017, could overlap with the first. The long-term aim is to produce four 118s by summer 2021. 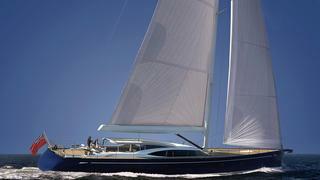 The first Oyster 118 will have a single headstay sail plan with a removable inner forestay for the jib. Four captive winches will ease handling, and the rig is in carbon. She boasts a nearly full-height engine room, which will host a 500hp main engine driving a variable pitch propeller. 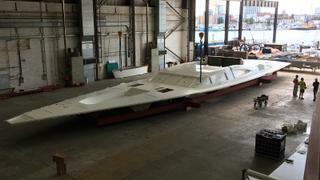 This will be the 358th yacht built from the Oyster/Humphreys Yacht Design partnership. "A long, close relationship like this creates such a rare, shared understanding of what can be achieved, and together we have evolved and advanced the design and size of yachts without ever losing sight of what an Oyster must offer superyacht owners," Rob Humphreys said. "For those owners, together, we feel we are the custodians of a very special, successful bluewater philosophy. We helped extensively with Oyster’s initial move into superyacht territory and we’re delighted now to introduce the Oyster 118." The first Oyster 118 is due to be delivered in spring 2018 after sea trials in the Solent. Other projects currently under development at the Southampton-based yard include the ninth Oyster 885, which is currently under construction and due to hit the water in 2018.